Víctor Hugo Rascón Banda’s Contrabando tells the story of a playwright and scriptwriter living in Mexico City, much like Rascón Banda himself, who returns to his childhood home of Santa Rosa in the northern state of Chihuahua. He has to write a script, and what better place than this remote former mining village? “You’ll be able to rest, sleep in as long as you like, far from the hubbub of that awful metropolis,” his mother promises him in a letter. “You’ll have the time to write, uninterrupted.” And her son agrees: “here, where there is no electricity or telephone, I can stumble upon the ghosts that become characters and the rumors that turn into plots. All I have to do is go down to the river and listen to the washerwomen [. . .] or pop into the billiard hall and see how the balls run into each other on the green felt to break the tedium” (24). What the narrator discovers, however, is anything but a rural idyll. It turns out that “death arrived in Santa Rosa, and now it doesn’t want to leave” (97). The place is full of ghosts all right, as well as characters, rumors, and plots. But whatever story he hopes to write is constantly interrupted by other stories, of violence, revenge, and betrayal, that urgently need telling but somehow cannot (yet) be told. One after another, the tales that this book tells reveal a reality that has yet to make its way to the capital. “There they know nothing,” says one of the first people that the narrator meets, a woman called Damiana Caraveo, on the road to Santa Rosa. Caraveo is described as “the very image of a mournful death, or of the soul in pain of a woman still unburied” (12). Learning that she is talking to a writer (though disappointed that he doesn’t write corridos, the popular songs of the region), she bids his attention: “Just look, though they should know. Here in the Sierra, something bad happened, a whole lot of killing or whatever you want to call it” (12-13). And she proceeds to describe a skirmish in which twenty-four people (including most of her family) were killed, for which she was framed and then jailed as the putative leader of a drug-trafficking gang. Yet having told her side of things, Caraveo wonders why she has bothered: “As for my version of what happened [. . .] why am I telling it, what’s the point? Who’s going to believe me?” (22). And yet she carries on with her narrative, as though in the vain hope that there may be someone to hear her. Indeed, the stories tumble out, twenty-three of them in total, like a chain reaction: each title picking up on a phrase from the sentence of the story that precedes it. So the final line in Camaveo’s tale is “I remembered the reasons for my voyage,” and the next story is “The Reasons for my Voyage,” which ends with the declaration “I am Jacinta, Jacinta Primera,” in turn setting up the story “Jacinta Primera.” And so on, until the last word of the final tale, which is “contrabando,” looping us back to the title of the book itself. The various segments of this tightly woven chain, however, often take very diverse forms, with a host of different narrators or none at all: there are first-person narratives, testimonio-style, in the voice of rural peasants; there are the diary-like accounts of the Mexico City scriptwriter, the apparently autobiographical presence of Rascón Banda himself; there is dialogue, stream of consciousness, an open letter “to whom it may concern” that turns out to be a suicide note; there is a playscript, and ultimately also a filmscript, apparently the text that the narrator came to Santa Rosa to write. Each one is laced with the fear, uncertainty, and tragedy of a world in which everyday life has been turned upside down by new flows of capital, new fluctuations of allegiance, and new forms of killing as the drug trade takes hold. In the insistent chain of reasons and causes, the narrator suddenly finds himself bound fast. Like everyone else, he is unknowingly responsible in a world in which agency is everything, because you have to be continually on your toes, even as it is steadily annuled by force of circumstance. As Damiana Caraveo observes, “When things are going to happen, there’s no way to stop them” (17). Caught up in what is repeatedly described as a “nightmare,” Rascón Banda comes to partake in a generalized condition of responsibility without power, guilt without either intent or the possibility of redemption. At the end of the book the final vignette is a coda, written (we are told) three months after the narrator has left town, having departed only by the skin of his teeth as his driver ran a roadblock and soldiers fired on their car. With his right hand in a cast, he has to write with his left, telling anyone who asks about his injuries that he’s been bitten by a caterpillar, “the kind they have in the Sierra” (208). Meanwhile he receives another letter from his mother, this one much less sanguine than the one that originally invited him home for rest and uninterrupted writing. “I don’t want you to set foot in this town again,” she says. “Here nobody knows who is who. [. . .] Damiana Caraveo is right when she says that you look like a narco or a policeman, which in any case is the same thing. What’s more, you dress like them. It’s not worth you running the risk.” Finally, she tells her son to “Forget what you saw and heard here. Pretend that it was nothing more than a bad dream” (209). And in response the narrator tells us that he “will burn everything that I wrote in Santa Rosa, that’s what I promised my mother” (210). What is more, it seems that the person who commissioned the screenplay that first motivated the journey north does not much like it: he wanted a love story, rather than a narco revenge narrative. The playscript finds better success: the piece will be put on in Mexico City’s chic Zona Rosa, with a mechanical scenography that will produce “real waves” that the audience can actually touch. Yet the narrator hardly believes this will happen: “They say that in the theatre, plans fall through and never become reality” (211). So Rascón Banda ends the book telling us that, so he can “forget Santa Rosa,” all that remains is for him to type up (literally, “mechanize”; “pasar a máquina”) the lyrics of the corridos that will be played in the show. As Sophie Esch observes, “The man of letters is no longer a writer, just a copyist” (“In the Crossfire: Rascón Banda’s Contrabando and the ‘Narcoliterature’ Debate in Mexico” 172). The rest is silence. Except that the last word takes us back to the book’s title and the sequence starts up once more, like some hellish Groundhog Day replaying the dissolution of the letrado subject in the webs of drug war violence. In the end, Rascón Banda does and does not keep his narrator’s promise to his mother (and himself) to forget all he has seen and burn all he has written in Santa Rosa. The manuscript of Contrabando won the prestigious Juan Rulfo prize for a first novel in 1991. Yet the book was not published for almost two decades, until after its author’s death in 2008. By the time it belatedly appeared, at the height of President Felipe Calderón’s ill-conceived war on the cartels, the level of drug violence in Mexico had exponentially increased, and the scale of the killing was such that it could no longer be ignored or denied. Perhaps stories like Damiana Caraveo’s could finally be told and find an audience. Or perhaps it is that now the entire country finds itself in the bind of disempowered responsibility that Rascón Banda describes, caught in a deadly cycle of causes and consequences that has no clear endpoint. One of the repeated chants of Mexico’s student movement in the 1960s, among the many reproduced in Elena Poniatowska’s La noche de Tlatelolco, is a demand for dialogue: “DIA-LOGUE-DIA-LOGUE-DIA-LOGUE-DIA-LOGUE-DIA-LOGUE.” As one of her informants puts it, this is because “the government’s been talking to itself for fifty years now” (30; 38); or as another puts it, “The PRI,” the ruling Institutional Revolutionary Party, “doesn’t go in for dialogues, just monologues” (86; 90). Hence no doubt the form of Poniatowska’s own book, composed as it is of a multitude of snippets (of interviews, pronouncements, chants, newspaper articles, and so on) from all sides. Dialogue proved impossible in the real world, on the streets or in council chambers, as it was cut short by the violent repression of the student movement, the imprisonment of its leaders, and particularly by the massacre at Tlatelolco, in the Plaza de las Tres Culturas, that gives this book its title. But it is as though that impossible dialogue were now (almost) realized on the page as slogans face headlines, and witnesses from a variety of backgrounds speak of their experiences, one after another. Moreover, as Poniatowska makes little overt effort to impose a unified narrative or reconcile disparities (though there is no doubt that there is artfulness and intention in the ordering and placement of the various fragments), it is almost as if we catch that dialogue in midstream, any conclusion endlessly postponed. But I say that this fantasy of dialogue is only almost realized on the page, not merely because it is in the nature of testimonio (as we have seen for instance with Biografía de un cimarrón) that the written word betrays, by fixing and so deadening, oral expression. It is also that the extreme fragmentation here threatens to undermine any attempt to make sense at all, refusing not only the forced coherence of the authoritarian state but also any unity to which the student movement itself might aspire. Even the chant itself, as it is printed here, breaks down the demand for dialogue into its constituent syllables and no longer respects either the unity of the word or its separation from any other: “DIA-LO-GO-DIA-LO-GO-DIA-LO-GO-DIA-LO-GO-DIA-LO-GO-DIA-LO-GO.” In the frenetic repetition of the march, meaning slips away to be replaced by sheer sound, by elements that could be recombined in more than one way, to more than one end or effect. The onus then is on the reader to pick up and combine the pieces, but even so it is not clear that any single narrative could ever gather together all the fragments and make them cohere. But then surely this is part of the point: if ever there had once been a chance for dialogue, now not even literature (or testimonio) can bring that moment back. Poniatowska does not claim to establish the truth of what happened at Tlatelolco. Even as she effectively undermines the official version of events, she makes little attempt to substitute it with a new, more authoritative, version. She wrests the monopoly of the truth from the state, without presuming to claim ownership of it herself. For hers is less a fact-finding mission than a therapeutic howl that puts language to the ultimate test. As she says in one of her very few editorial interventions, halfway through the book, even to consider delving for the truth would be somehow offensive to the victims: “Grief is a very personal thing. Putting it into words is almost unbearable; hence asking questions, digging for facts, borders on an invasion of people’s privacy” (199; 164). Instead, what she aims to provide is a space for the expression of that inexpressive grief that makes the animal within us (bare, unqualified life) come to the fore, as with the mother that Poniatowska describes as “so stunned that for days and days she uttered scarcely a word, and then suddenly, like a wounded animal–an animal whose belly is being ripped apart–she let out a hoarse, heart-rending cry, from the very center of her life.” This is “the sort of wild keening that is the end of everything, the wail of ultimate pain from the wound that will never heal” (199; 164). As such, even to call La noche de Tlatelolco an exercise in therapy is to say too much, as it would imply that healing can someday come–a claim as offensive and intolerable as the high-handed notion that there is some relationship between truth and reconciliation, or even that either were ever desirable. No. What matters is less what these fragments say than what they can never say, or what they say only by revealing the insufficiency and arrogance of any claims to truth or certainty. These pages, if they express anything, are the place for “the mute cry that stuck in thousands of throats, the blind grief in thousands of horror-stricken eyes on October 2, 1968, the night of Tlatelolco” (199; 164). See also: Testimonio and the Politics of Truth. By their nature, revolutions are both confused and confusing. They are the point at which one regime of sense gives way to another: they register a break in the prevailing discourse and the birth of another way of seeing and telling. By definition, the old ways of describing the world are no longer fit for purpose when the revolution comes around; but the new ways are not yet fully formed. A revolution is always in some sense illegible, unrepresentable, as the conditions of its representation have yet to appear. But as such, in retrospect, revolutions are always portrayed as too legible, too easily represented. The new discourse assumes the revolution that enabled its emergence as a ground that can never be fully questioned. Revolutions are, in short, quickly naturalized, and their illegibility is erased or over-written by what becomes the common sense of the new order. The moment at which everything is still in play is forgotten or even forcibly repressed in the name of a genealogy that has to secure the new regime of intelligibility. The challenge, then, is less to explain the revolution than to recover the revolutionary perspective itself, from which what is going on is always beyond full comprehension. Anything else is (quite literally) counter-revolutionary, as it goes against or undoes the force within the revolution that disrupts the existing discursive regime and makes space for a future that has to be strictly unknowable. To put this another way: explanation is the prerogative of constituted power, a tactic by which apparently to confirm that the present is the past’s inevitable telos; but the constituent power that drives the revolution has no fixed end. This then is the virtue of Nellie Campobello’s Cartucho: that, though it was first published a decade or more after the events that it depicts, it strips them of the sense that had accumulated around them under the PRI. Campobello neither provides nor seeks explanation for the “tales of the struggle in Northern Mexico” that she relates. Rather, she conveys the revolution in all its confusion and indeterminacy, without ever sacrificing immediacy or concreteness. The fragmentary style of Campobello’s text never aspires to unity or totality. There is no fixed beginning or end; instead, we are always in the midst of things, from the opening lines in which we are told that “Cartucho didn’t say his name. He didn’t know how to sew or replace buttons. One day his shirts were brought to our house” (6). It is not that temporal markers are entirely absent, it is just that they don’t pin the episodes down to any linear chronology, any all-encompassing narrative arc: “It was the fourth of September, but of what year?” (84). At any one moment Pancho Villa’s forces may be in town; but soon enough we will find ourselves among Carranzistas, before the Villistas sweep back in again. There are endings, of course. Men die. Over and over, men die. But often enough the narrator doesn’t enquire why, and when we are given reasons they are as disparate and disordered as the ebb-and-flow of troops and weapons: “He died for a kiss the officer gallantly awarded him” (25); “He just had the face of a man lulled by fate” (55); “he was dying for a cause different from the revolution” (18). Even cause and effect are apparently inverted, as when one soldier is said to have “embraced the bullets and held on to them” (66), as though bodies drew bullets from guns. Some of this effect is achieved through the device of a child narrator, whose memory clings to the sights and sounds of life in wartime, rather than to the justification that surround them: “I’m telling what impressed me most, no longer recalling any of the strange words or names I didn’t understand” (42). Overwhelmingly, however, there is also the sense that in a revolution, it is not just bodies that are felled, but with them a set of discourses that can simply no longer be spoken or heard. One man, before he is shot, cries out that “A man who’s going to die has a right to speak!” But moments later “everyone turned their backs on the grey form left lying there, pressing into the ground the words they never let him say” (52). On the one hand, this is the revolution as senseless expenditure, as upset without outcome. In the words of Jacques Mallet du Pan: “la révolution dévore ses enfants,” the Revolution devours its children. On the other hand, this is equally the revolution as return, as full circle of the wheel of history. In the words of The Who: “Meet the new boss, same as the old boss.” This from a song with the title “Won’t Get Fooled Again.” Yet for some reason the impulse to revolt lives on–the Arab Spring might be just the latest example–despite the fact that so many revolutions seem to take a wrong turn somewhere. Hence the dilemma for a book such as Mariano Azuela’s The Underdogs (Los de abajo), which provides this narrative for the Mexican Revolution, focusing on the Northern front in the years 1913 to 1915. It has to account for the revolution’s causes, the reasons why people might have believed that only violence could transform their circumstances, as well as its effects, a world in which all sense of cause or effect has disappeared, in which violence has become its own raison d’être. As one character puts it near the end of the novel, considering which side to choose among the various warring factions: “Villa? Obregón? Carranza? X . . . Y . . . Z! What do I care? I love the revolution like I love an erupting volcano! I love the volcano because it is a volcano and the revolution because it is the revolution!” (124). One answer to this problem is to point out that, ultimately, revolutions perhaps have very little to do with politics. At least, they have little to do with politics if we conceive of the political in terms of the making of decisions, of choosing between options. Demetrio Macías, the main character of The Underdogs, a man who the book portrays rising through the ranks of the revolutionary forces, actively refuses the right to decide when he, too, is asked “on which side are you going to fight?” His response is to “[bury] his hands in his hair, [scratch] his head” and reply “Don’t ask me questions like that [. . .]. All ya have to do is say: ‘Demetrio, you do such and such,’ and I’ll do it, end of story!” (116). So it is not that the revolution is (to adapt a phrase from Carl von Clausewitz) “the continuation of politics by other means.” If anything, the revolution is actively anti-political, the expression of a dissatisfaction with the limits of the political. It is not that politics is absent from The Underdogs. It figures primarily through the novel’s other main character, Luis Cervantes, a deserter from the federalist side who attaches himself to Macías’s gang early on, in large part (we are told) for lofty reasons: “the suffering and misery of the dispossessed,” whose cause he sees “as the sublime cause of an oppressed people demanding justice, pure justice” (22). Throughout the novel he seeks to translate the revolutionary violence into lofty sentiment. For instance, as he puts it to Macías: “You do not yet understand your true, your high, your most noble mission. [. . .] You have risen up against the cacique system itself, the system that is devastating the entire nation. We are constitutive pieces of a great social movement that will lead to the exaltation of our motherland.” To which Macías himself responds: “Go on, bring us two more beers” (42). So politics is disdained and seen as almost entirely irrelevant. Ultimately, Cervantes abandons the revolutionaries, leaving behind only a note encouraging one of them to come north of the border, open a Mexican restaurant, “and in a very short time we can be rich” (120). Yes, he opts out of the corruption and the ceaseless violence. Yes, as a result, he’s the only one to survive to the novel’s final pages. But that’s precisely because, however much he tries to articulate the spirit of the revolution, it is clear at every moment that he misses it entirely. The revolution forever escapes its political articulation. And perhaps that goes as much for its hackneyed narrativization in The Underdogs itself. Elia Kazan’s Viva Zapata! tells us that the fundamental conflict at the heart of the Mexican Revolution concerns land. Indeed, “land and liberty” (tierra y libertad) has been the banner under which has historically erupted, in Mexico as in many other agrarian societies. But this is a conflict also between the countryside and the city, and between different temporalities. The film opens with a delegation of peasants, from the southern state of Morelos, disarming themselves as they enter the national palace in Mexico City to petition President Porfirio Díaz over a land dispute. By giving up their machetes they are also handing over their instruments of labour, but in any case they are already unable to work as the local landowners have used barbed wire to fence off the fields where they have historically harvested their crops. Díaz, paternalistically addressing them as his “children,” tries to fob them off by telling them to be patient, to verify their boundaries and settle things through the courts. “Believe me, these matters take time,” he tells them. All but one of the group is pacified by the president’s vague reassurances. “We make our tortillas our of corn, not patience,” he declares. “What is your name?” asks Díaz, riled up. “Emiliano Zapata,” comes the answer. Díaz circles the name on a piece of paper in front of him, and we have all the clues we need for the rest of the movie: Zapata is different, a man to watch, who will not bow down to authority. Much later comes a scene in which the roles are reversed. We are in the same office, but Díaz has been overthrown and now it is Zapata who is, temporarily at least, in the position of the president, receiving petitions. In comes another delegation of men from Morelos, seeking to resolve a problem with their land. The complaint is against Zapata’s brother, who has taken over a hacienda whose lands had been redistributed. Now it is Zapata’s turn to prevaricate: “When I have time, I’ll look into it.” Again, however, there’s one man among the petitioning group who won’t put up with such delays: “These men haven’t got time,” he calls out. “The land can’t wait [. . .] and stomachs can’t wait either.” To which now it is Zapata who bellows: “What’s your name?” But on turning to a list similar to Díaz’s, about to circle the offending man’s name, he realizes the situation in which he has found himself, repeating the sins of the past. So Zapata, the true revolutionary, tears up the paper and angrily reclaims his gun and ammunition belt, to head back to Morelos with the men and sort out the problem straightaway. Revolutions tend to repeat, the film suggests, but something always escapes. Towards the very end of the movie, as we suspect that Zapata is doomed, about to be swallowed up by the very revolution that he helped to start, Zapata’s wife, Josefa, asks him: “After all the fighting and the death, what has really changed?” To which Zapata responds: “They’ve changed. That’s how things really change: slowly, through people. They don’t need me any more.” “They have to be led,” Josefa says. “Yes, but by each other,” her husband replies. “A strong man makes a week people. Strong people don’t need a strong man.” This, however, is the basic tension around which the film revolves: it wants both to glorify (even romanticize) Zapata, and yet also to suggest that it’s the glorification of men like him that leads the revolution to fail. Indeed, Zapata is paradoxically glorified precisely in so far as he consistently refuses adulation. And so ultimately Zapata has to die, shot down in a hail of bullets, so that something of his spirit escapes, here (rather clumsily) portrayed through his white horse which is scene, as the closing credits roll, wild and free on a rocky crag. So we see how revolutions soon become morality plays, in which what is at stake is less their immediate impact than the lessons that others should or should not draw from them. Interpreting or representing the revolution soon becomes the site of a struggle that threatens to obscure the battles that the revolutionaries themselves fought. And sometimes the most effective counter-revolutionary narratives are the ones that claim to present the revolutionary cause with the most sympathy. Is it any wonder that John McCain, the former Republican candidate for the US Presidency, should tell us that Viva Zapata! is his favourite film? Or perhaps the point is that even the most counter-revolutionary representation has to acknowledge the attraction of armed revolt in the first place. The seeds of the disaster sown or foreseen in the first half of Balún Canán are well and truly reaped in the second. Characters drop like flies: the illegitimate nephew Ernesto, cousin Matilde, and ultimately even the son and prospective heir Mario. Meanwhile, the country estate is devoured by fire and the family forced to retreat to the relative safety of Comitán, only for the patriarch César to head off to the regional capital, Tuxtla. Here he bakes in a flea-bitten hotel room with a broken fan as he futilely seeks an audience with the Governor of Chiapas. What’s more, in Tuxtla “it’s hard to distinguish, at first sight, between a señor and anyone else”; in fact “there aren’t really any señores in the strict sense of the term” (229). The whole hierarchical system has shifted, and César finds himself rather nearer the bottom of the pecking order than he would like. But why bother even to save the ancestral estate when, in Comitán, without him, the family is falling apart and coming to what might as well be a dead end. Which is not even the worst of all possible worlds. For family friend Jaime Rovelo, it’s better that the son die than that he turn against all the family stands for, as his own son has with his “belief in these new theories, Communism or whatever you call it” (231). But there is little to nothing in the way of triumphalism in the novel. Indeed, it ends with a predominant tone of shame and even guilt. For finally the older daughter, whose presence in the novel has been otherwise almost spectral, not only takes up the reins of the narration again in the final section but also intervenes in the plot itself. Or perhaps she does. She hides the key to the chapel in which the children are due to have their first communion. Scared off by the priest and by a prevailing Christian discourse of fire and brimstone (“You need to know the essential thing: That there is a hell” ), Mario has told his sister that he doesn’t want to take communion (255). So by misplacing the key, she’s acting on his behalf. But Mario, always weak (and if it weren’t for the fact that he’s the designated Argüello heir, as much of a non-entity as his un-named sister), takes a turn for the worse, causing consternation in the household. In his delirium, apparently he keeps returning to what his sister has done. His mother reports, without understanding or really taking him seriously: “I don’t know what he’s saying about a key. All night he was saying the same thing over and over” (262). So the daughter seems to feel that she is responsible for his decline and (ultimately) death. “It’s not Mario,” she says by his coffin, “It’s my guilt that’s rotting away at the bottom of that box” (277). And then she asks to go to family tomb, where she leaves the chapel key while saying a prayer, not so much to God as to the forefathers with whom Mario will now be in perpetuity, “that they be good” with him, “that they play with him, that they spend time with him. Because now that I know the taste of loneliness I don’t want him to have to try it” (283). The book ends, then, with a double scene of mis/recognition. Out on the street, the narrator thinks that she sees her old nurse, but it turns out that she’s wrong and that “all Indians have the same face” (285). Back in the house, she then inscribes Mario’s name on any surface to hand, bricks, walls, a notebook, “because Mario is far away. And I’d like to ask him for forgiveness” (286). But if this is the daughter’s intervention into the plot, her belated grasp at subjectivity as she acts on behalf of her brother only (perhaps) to provoke his final sickness, then it’s strangely equivocal. For it is something like a hidden plot, an action that goes almost totally unseen. The mother, after all, is convinced that the cause of her son’s illness and death is witchcraft: the Indians back at the ranch have cast some kind of spell over him. The reader may attribute his decline to something more mundane, such as appendicitis. His sister’s responsibility, and her shame and guilt, escape and silently defy both possibilities. What, in any case, is the source of her guilt? Is it that she has caused his death? That she has allowed him to die without the blessing of a first communion? Or simply that she has left him on his own, albeit in the name of freeing him from both the institution of the church and the weight of inheritance, of an older and more deeply embedded shame: the guilt pertaining to the entire class of white landowners. The sister then cannot escape her own shame, the disgraceful fact that she is no longer able to recognize the woman who suckled her, prayed for her, and raised her. She has to live with that guilt and betrayal, and she has to bear it without Mario by her side, and without its even being noted or acknowledged by anyone else around her. The daughter, the un-named narrator, has finally assumed her role as a sense of conscience that will forever, Cassandra-like, be silenced or ignored. It takes a while for Rosario Castellanos’s first novel, Balún Canán, to get going. The plot, such as it is, emerges only slowly as the un-named child narrator (a young girl, seven years old) gives us glimpses into her world as the daughter of a landlord family, the Argüellos, in 1930s Chiapas. The narrator’s anonymity indicates, among other things, how easily she is overlooked: it’s her younger brother, Mario, who is son and heir to the country estate and the family name. But this gives the girl a certain freedom as, guided by her indigenous nana, she explores the sights and sounds of the town of Comitán, and is given a window onto both traditional Indian beliefs and contemporary White anxieties. And these anxieties are what gradually gives the novel shape, for it turns out that we are in a time of transition: the landowners are losing their sway as the post-revolutionary government of Lázaro Cárdenas promotes land reform and indigenous education. With the state and the law apparently on their side, farmworkers and servants are less likely to be so docile. Concerned about the rumours he’s hearing from the countryside, and taking with him an illegitimate nephew, Ernesto, to fulfill the requirement to provide a teacher for the Indians in his care, the patriarch César Argüello sets out with his family to the ancestral domain, Chactajal. It is here that the story will finally pick up speed, even if the ultimate dénouement is back in Comitán. But it is in the countryside where the new balance of forces is most evident. Even the journey to the Argüello estate proves unusually arduous. The weather is against them, and a local village refuses to give them shelter. They have to ford a river in flood, and then Ernesto shoots a deer, in defiance (or ignorance) of native custom. In short, the prospects are ominous, and even the fiesta to welcome the family to their estate is tinged with suspicion and threat: the child narrator notes “among the shadows, the hostile gaze of those who had not wanted to attend” (71). And so, from bad to worse as the local people make unprecedented demands on the owners of the manor house, demands that are now backed up by the state in the person of a visiting agrarian inspector. The inspector is not in a mood to be swayed by such hospitality as the house can offer, even though (or perhaps because) he’s greeted as César’s stepson, possibly his illegitimate child. The report the family receive is that what he tells the Indians is that “they no longer had a boss. That they were the ones who owned the property, that they had no obligation to work for anyone else. And he sent them a signal, by raising a closed fist” (134). So however much César tries to maintain his equilibrium, the reality that his power is rapidly fraying is clear for all to see. Moreover, in a social landscape that, for the Argüellos, is defined by treason and betrayal, not the least of the challenges to his authority come from within the family itself. Ernesto, for instance, is a loose cannon who is not entirely to be trusted however much he fantasizes himself as a potential heir or even saviour of the family fortunes. And César’s wife, Zoraida, increasingly berates him for losing his grip and showing insufficient firmness against indigenous lèse-majesté. Zoraida is in fact one of the novel’s most interesting characters. She herself was raised in poverty, so senses how much she has at stake in the struggle to maintain the social divide between white and indigenous, landowner and peon. No wonder perhaps that it is she who most powerfully and venomously articulates both the racism and the sexism that structure and (purportedly) justify it. She upbraids her husband for not being, in essence, “man enough” to defend a patrimony to which she herself has only a relatively recent claim. She is determined, moreover, that all this should be passed on to her younger child and only son, Mario. In many ways she’s a signally unsympathetic figure, although at the same time the reasons why she adopts the attitudes she does are eminently understandable. The same goes for Ernesto, a similarly complex character whose struggle with his own illegitimacy and uncertain social standing the novel takes pains to delineate without ever asking us to absolve him for his stupidity or his cruelty. Indeed, in short, perhaps Castellanos’s most impressive achievement is to have sketched out a world that is full of shades of gray and ambivalence (for on the other side, the indigenous agitator Felipe is no saint, least of all in his wife’s eyes) without ever equivocating on fundamental issues of inequality and justice. Guided often by the most marginal members of a corrupt and hitherto complacent local aristocracy, we chart their decline with empathy but not a trace of nostalgia or absolution. The novel enjoins us neither to forget their humanity nor to forgive the inhumanities of the system to which they are indebted. 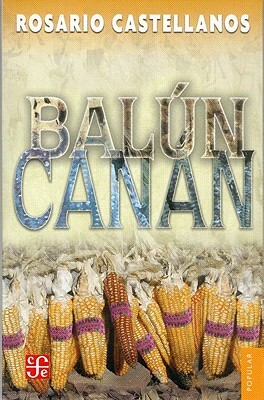 See also: Balún Canán II; Latin American Women Writers.